Our personal information should be very valuable to us. Have you ever wondered how would it be to wake up one day with all the data from your device lost? Imagine all the contacts, messages, media files all are gone? We don’t want to scare you but being aware of this is important. That is why when similar scenarios like this happen some people really don’t know what to do. A good solution is to search for a tool that can help us. Because we live times where technology is getting better and better it will not be hard to find one for this problem. 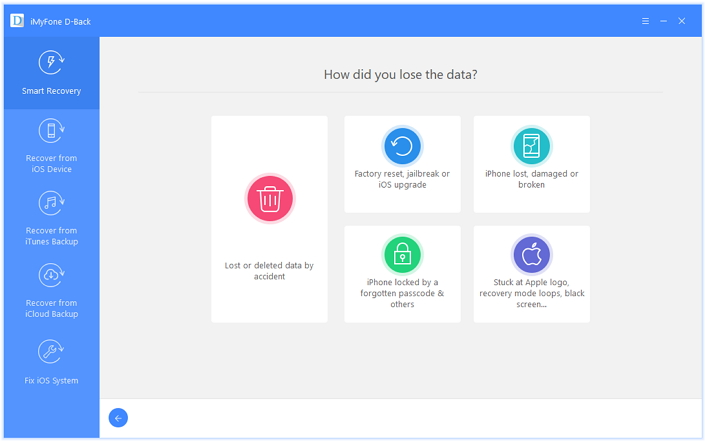 EaseUS MobiSaver is a powerful Recovery Software that can help us when we lose valuable data on iPhone/iPad/iPod Touch. It can retrieve from contacts, videos to important documents from iOS devices and backups. This is a big plus for this tool. It will recover data even if you deleted it by accident or if you are the victim of a virus attacking. This kind of situations don’t really happen often but when they do wouldn’t it be great to know exactly what to use? 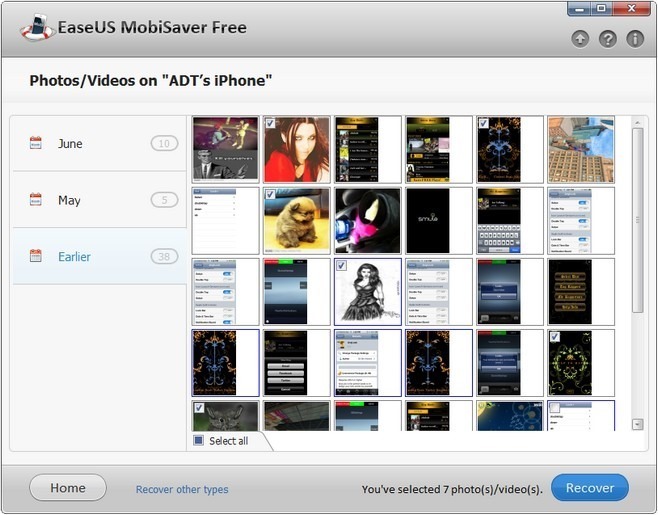 EaseUs MobiSaver offers a free trial version. So you don’t have anything to lose if you give it a try you can only gain. So if you were looking for a solution that doesn’t require you to pay a certain amount of money before you confirm whether it can recover your lost data, this can be a good choice. It’s not that hard to use and all its functionality can be broken down into three steps giving you just a few minutes of use to resolve your problem. But EaseUS MobiSaver do have some disadvantages and here are a few of them. When you will use it you will see that it can’t get back all the different types of data. Also there aren’t many testimonials on the EaseUs’ website so this should make us wonder why. The only feedback that we get is some cycle ones that repeat over and over again. We don’t get a lot of information in the form of tutorials. FAQs section is also missing so a first impression might not be that good when you visit their website. Taking this into consideration check out the best alternative to EaseUS MobiSaver. iMyFone D-Back or iMyFone D-Back for Mac is a professional tool designed to help recover data. First of all this tool impresses us with the fact that it works on almost all iOS devices. Even if you don’t know where the data has been lost, this tool works like a puzzle and it puts each piece together till it gets the final data back. The price is lower than EaseUS MobiSaver and you can take advantage of different promotions depending on the period you are visiting their site. What should really make you give a chance to iMyFone D-Back is the fact that a free trial is available before you purchase. And you are guaranteed a 30-day refund to make you confident about trying it out. This is a sign of how much trust the team from iMyFone D-Back has in their product. And of course, iMyfone D-Back owns some features which EaseUS MobiSaver doesn’t. it can recover some non-stream IM apps such as WeChat and Kik. And iMyFone D-Back has four recovery modes, and the most intelligent one is Smart Recovery which guarantees you know how to start the recovery even you don’t know much about technology. You are 100% protected together with advanced fraud protection systems. When you are having problems with the tool you can also use the Free Support from iMyfone D-Back. They will answer all of your questions and lead you with technical services for lifetime. Although EaseUS MobiSaver does its job in a good way it still has some limitations and misses a few things that could give it that description of a top quality service. On the other hand iMyfone D-Back is more professional and better designed. You get more benefits from using it and don’t forget that you can use that trial free period where basically you try to resolve your problem and if the tool doesn’t do its job for you the money get back to your pocket. Also their website contains a lot of useful tutorials and information that you can use to make the experience even better together with iMyFone D-Back iPhone data recovery or iMyFone D-Back for Mac. good article. I tried the free trial version and I have a doubt; what is the difference between free trial version and the paid version? I could find my data when i used the trial version, so why i pay for the pro version? Thanks for your comment. The free trial version can detect and preview the data on your iPhone/iTunes backup/iCloud backup. The paid version can recover the data on your computer for your use. And the paid version can upgrade for the latest version for lifetime. Hope this will help. And any further question, please contact our customer support team: support@imyfone.com and they will answer your doubt.